Guarantee of quality and on-time delivery. ABZ ONLINE offers its clients concrete guarantees on quality and delivery fulfilment. If the client is not satisfied with the translation, ABZ ONLINE will provide a corrected version of the translation as soon as possible, and if the second version were still to contain errors the client is entitled to a partial or full refund. All jobs will be carried out after confirming the relevant quote sent by ABZ ONLINE to the client. Until confirmation of the quote is received via email, fax or post, ABZ ONLINE reserves the right to not begin the translation job. All the texts to be translated must be accompanied by reference material or documents, instructions from the client on appropriate style and terminology, as well as any sketches, etc. that facilitate comprehension of the text. Otherwise ABZ will not take responsibility for complaints from clients regarding errors that may arise such as, for example, not using the client’s terminology, failure to adhere to style preferences, etc. Should the client not provide any reference materials or particular instructions, ABZ reserves the right to use the style and terminology they feel is appropriate according to their experience and professional criteria. The services carried out by ABZ correspond to those solicited by the client and quoted by ABZ. In no circumstance will ABZ take responsibility for services that have not been contracted by the client. 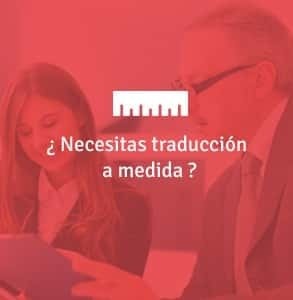 Particularly in the case of translations of advertising material, the translation is limited to a simple translation that does not include specific requests to edit or adapt the text to a different advertising style than the one used in the client’s original text. 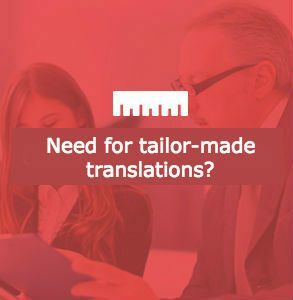 The basis for calculation of translation jobs is their word count, to which the cost of additional services will be added as indicated in the quote. Provided the client is notified, ABZ reserves the right to add additional costs that may arise during the execution of the translation job, which the client will be obliged to accept for the work or task to continue. Cancellation of a work order by the client will result in the client being invoiced for 100% of the work already carried out plus any administrative costs related to cancellation, always under 50% of the cost of the remaining work. Any claim from the client regarding translation errors will only be considered within 10 days of the client receiving the translation. Claims must be addressed to ABZ ONLINE via email or post, accompanied with the original documents and the disputed translation in addition to the reasoning for the complaint. Should the translation contain errors made by ABZ ONLINE or errors relating to non-adherence to the client’s indications, ABZ ONLINE has the right to provide the client with a corrected/improved version as quickly as possible (the client will be notified of the timeframe). Under no circumstances will the presence of errors in one section of the translation indicate that the entire translation is erroneous or defective and therefore not to be paid for. ABZ ONLINE will not take responsibility for delays in delivering translations to the client caused by factors outside the control of ABZ ONLINE such as, for example, power cuts, internet issues, etc. or force majeure events. Unless otherwise agreed, translation jobs will be paid for within a period of 30 days after the invoice has been issued (the legal term established by Spanish legislation). For new clients and private orders, payment for the job will be required in advance, in full (orders under 200 euro) or 50% (orders over 200 euro). In cases of delayed payment or non-payment on the part of the client, ABZ ONLINE reserves the right to request full and immediate payment of the outstanding balance. ABZ reserves the right to request that the client pay interests to compensate for the delay. These interests will be calculated based on the official interest rates of the Bank of Spain at the time. Likewise the client is responsible for any costs incurred as a result of claiming back any outstanding invoices. ABZ ONLINE reserves the right to request that the client not use any translations that have not been paid for. Work carried out by ABZ ONLINE is property of ABZ ONLINE until it has been paid in full by the client. If one of the provisions of the general conditions of sale is void or ceases to be valid, the validity of the remaining provisions will remain intact. The client must be willing to substitute the invalid or void provision with a valid one. The location of fulfilment and jurisdiction for all of the right derived from the contractual relations and for litigation shall be Granada (Spain). Should the confirmed deadline not be met, the client will have the right to a 100% refund of the value of the job that was not received on time, as long as the delay was the direct responsibility of ABZ ONLINE and not due to the actions of third parties or circumstances outside of the control of ABZ ONLINE.